We are often asked for advice on how to fix computers by people over the phone. The classic answer is literally to turn the machine off, wait 60 seconds and turn it back on again. Modern computers have complex self-repair systems built in and simply restarting the machine will often fix most of peoples 'perceived' problems. Make sure to save any open documents etc before rebooting. If after trying this standard procedure for solving issues, your computer still has issues, please call us and we can arrange for either a technician to remotely access your machine or for an on-site visit. Cyber-Crime. How can I protect my business against a cyber attack without spending a fortune? Cyber-security threats are continually evolving. Viruses, worms, trojan horses, spyware, phishing, adware and scareware have all been around for a long time. Lately, one particular form of malware known as ransomware has been creating havoc with businesses and organisations worldwide. Ransomware when detonated works by locking up your files using encryption. You are then asked to pay a ransom to get the code that allows you to unlock your files. Lately, some cyber-criminals don’t even add value to this “service” they offer. They just take your ransom and don’t give you the code. Many customers we see during our daily work (and rescues) don’t even have the most basic cybersecurity measures in place. This article is intended for the non-technical amongst us to assist and educate about the need to protect computer users against these ever-evolving cyber threats. What can you do to protect against a cyber attack? Educating yourself and your employees is the #1 defense against cybercriminals. The most basic cyber-security needed on your computers and network. Apply Operating System patches. Manufacturers like Apple, Microsoft and others regularly release patches and updates to fix vulnerabilities that have been discovered (mostly by cybercriminals) in their operating systems. Always use the latest version of the operating system available. Whilst Microsoft’s Windows 7 is still around and is a good operating system, Windows 10 is inherently much more secure. Backup your data daily. This needs to be business grade and not to a shared drive on the network. Why? Most ransomware will spread to every “share” it can find – too bad if that is your backup. With regards to ransomware, the phrase “Backup or Pay up” springs to mind. Beyond basic - The next level of cyber security measures. Once the basics are covered off, we can then talk topics like firewalls, VPS, cloud virus and spam pre-filtering of emails, changing settings in software, 2-factor authentications, and an application that detects and stops unauthorised encryption etc. These will give a much more comprehensive solution beyond basic, however “comprehensive” is probably beyond the scope of this document titled “Basic Cyber Security” and would make it rather long and too technical. How can CT Business Solutions help? Businesses without their own IT resource will often need assistance in implementing these basic cybersecurity measures. As an IT department for the small and medium-sized businesses, CT Business Solutions can be your IT resource. We are able to deploy a management system to your computer(s) and network that keeps a track of your Anti-Virus, Patching, and Backups etc. This system reports to our service desk when things are going awry. How do I know if my computer has a virus or is infected with malware? Your computer takes longer than usual to start up. The system suddenly freezes, crashes or shuts off for no reason. You're seeing pop up ads. You're running out of hard drive storage. Your security systems or antivirus have been disabled. You receive pop up alerts from rogue antivirus programs claiming that you are infected with multiple viruses. There are new icons on your desktop that you do not recognise. You see unusual error messages (e.g. messages saying there are missing or corrupt files or folders). Your web browser's default homepage has changed. Strange or unexpected toolbars appear at the top of your web browser. What should I do if my computer is infected with a virus? Delete all your temporary files using the disk Cleanup Tool. If your computer can connect to the internet in safe mode then update your antivirus to the latest virus definitions. Run your Antivirus software in its on demand scan mode. Make sure the setting is for a "full" scan not just a quick scan. It might take a while to scan. Be patient it's important to thoroughly scan all files in your PC. Make note of any malware that is discovered. You may need to manually remove parts of the virus later and knowing its name is helpful when researching removal methods. If your Antivirus software failed to find anything (or you were unable to update its definitions) you may need to download an alternate product or run an online scanner. Online scanners of course can be difficult to run if you are disconnected from the internet. There are alternatives however. Using another computer to download a 30 day trial malware removal program like Hitman Pro or Malware Bytes to a memory stick and then running that application on the infected computer is probably the easiest. It is a good idea to use either of these programs even if your antivirus does allegedly clean-up your problem. Its amazing how much these specialist products find as they are more geared to spyware and adware than a traditional antivirus product. Remember to remove these applications after your computer is back to normal or else they will nag you to buy them. With Malware Bytes there another Gotcha if you dont pay careful attention on the install. Typically hitting next next without paying attention will install the "Premium" version for its trial. In this circumstance, if you have already an existing Antivirus and both are running your computer will slow to an absolute crawl. Alternately you could uninstall your old antivirus and purchase the product that saved your bacon. Or contact us and go onto our managed anti-virus solution. In some cases scanners will find issues but are unable to deal with the problem or put the file into quarantine. This is where you will need to do a bit of googling to find out how to manually remove the virus and its debri. Sometimes these manual removal methods require registry edits and other things that only trained IT specialists should perform. After all - That is why we are here. Alternately if you live out of our area please goto Computer Troubleshooters and find the office nearest you. Often when us “computer people” are out working or talking with customers, networking, at social events, or even at a family BBQ some-one invariably will ask. What is the best antivirus? My answer usually "depends" on the circumstances of the person I'm chatting with. If the person asking is a DIY type and not liable to use CT Business Solutions for ongoing IT support and services then I simply tell them to look at an independent testing organisation such as Virus Bulletin and select one of the top 5 products that has been consistently listed with a VB100 (see explanation below) in each of the last 4 or 5 tests. Consistency being the key. I tell them to avoid magazines or online magazine articles that generally turn up at the top of a Google or Bing search, as those generally are just there to support a paid advertiser and actually have absolutely no interest in providing independent advice. Also be wary of the "big name" products typically sold in chain stores. They may well be technically good at malware detection but as a general rule, they tend to slow your computer down to a crawl. The kids selling this stuff in said chain store have no knowledge of working with 1000's of business customers in a busy office. Nobody buys a computer just so they can watch their Anti-Virus startup. If the person is a customer of ours or a prospective client, then I just tell them to trust our 20 years experience and use our managed Antivirus service. Depending on your circumstances and budget we will use a product such as Sophos with Intercept-x or Webroot. We offer monitored Anti-Virus services as part of our Total Protection Plan. At the budget end of this plan, we use Webroot to achieve this purpose. Webroot is light on computer resource and has excellent detection rates. The Sophos product is also light on resource and with the added value of intercept-x, plus integration with the Sophos firewall, we can offer supreme levels of synchronized security and protection. The VB100 is awarded to products that detect all virus samples with no false positives. No, we don't. We are not a 'break fix' computer shop who do quick repairs to domestic computers. We provide ongoing needed support to businesses to keep them running at optimal efficiency. Can you visit my office to fix my computer? Yes, we have a team of technicians who visit customers to fix and maintain their computer systems. Often, we can 'remote in' to computers to fix them both more quickly than waiting for a site visit and at an often lower cost. Do you fix Windows XP machines? We do know that there are still companies that have XP machines running due to software needs or peripherals that only work with XP, so for these customers we do offer a service to support them. If you are simply running XP to save money, then you probably aren't. With a modern, fast pc running Windows 10 your business will see an improvement in efficiency and a massive increase in security. We are not in the business to simply sell people 'boxes' but an old computer is like a blunt worn out saw, it needs to be replaced literally for one that will cut things better. Why wont my computer work? This might seem like a dumb question, but we do get people who call us up and without giving us any further information ask us why their computer isn't working. 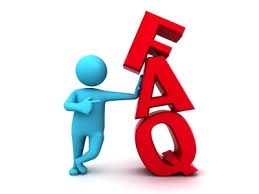 When you do call us up we will ask you a series of questions that will help us to better understand the situation, similar to going to a doctor for a pain in your side. Once we understand the situation we will be better poised to offer help and advice. We do offer a service to reinstall the software that makes printers work and in some cases we can fix the physical machines. However, in most cases the printer will need to be returned to the manufacturers repair centre to ensure it is fixed effectively. We can coordinate this for you, helping to reinstall the printer when it is returned. As the technology used in business grows we have adapted our services to include all systems a company might be using in their offices. This includes computers, peripherals, printers, tablets, phone systems and any number of other integrated items.